A better life. For everyone. 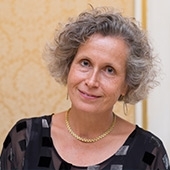 Tessa van der Willigen spent 30 years working in the field of international macroeconomics, most of them at the International Monetary Fund (IMF), where she managed divisions responsible for strategy in different functional and global areas. Her most recent position—in the midst of the global and euro crises—was as Chief of Staff to the Managing Director. She is now retired. Originally from the Netherlands, she was educated in France and at Oxford and Cambridge Universities, first in zoology and later in economics, and received additional training in psychology from Birkbeck College in London. Copyright © 2019. The International Federation for Spina Bifida and Hydrocephalus (IF). All rights reserved.